The Uttar Pradesh government will make available free hearse service in the state, an official said. The hearse van would transport a body from the government hospital to the residence of the deceased, and the service will be totally free of cost. 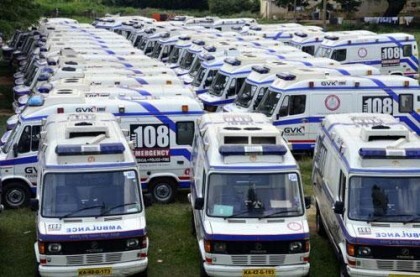 It would be implemented in the state on the lines of the existing 102 and 108 ambulance services, principal secretary medical, health and family welfare Arun Kumar Sinha said. He also said that the director general of medical and health services has already written to all district magistrates and issued orders for proper and effective rendering of the service in their respective districts. In case the body has to go to another district from a particular district, the concerned district magistrate would appoint a person to oversee its safe transportation, he told IANS. The hearse service will also take care of unclaimed bodies and bodies of persons who died in natural calamities, accidents and protests. At the district level, the chief medical officer would be the nodal officer to co-ordinate with the district administration for effective and smooth operation of the service. The principal secretary also said that a call centre would be established for district-level operation of the hearse service. The move comes days after heart-rending pictures of a man carrying his dead wife on his shoulder in Odisha raised a furore across the country.